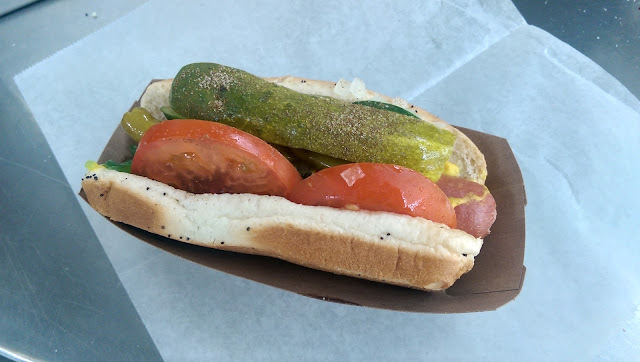 I love Chicago-style hot hogs and this beauty was munched during a recent layover at O'Hare airport. Just looking at this picture makes my mouth water and my tummy grumble. As a side note, O'Hare's airport code is ORD, but that first "O" does not stand for O'Hare. The original name was Orchard Field Airport, named after Orchard Place, the small farming community where the government built an air base in 1942. So ORD came from ORcharD. It was bought by the city of Chicago after WWII and renamed to O'Hare in 1949.